The Mandalorian hits the Disney+ streaming service November 12. Carano also does her own stunts, which impressed Favreau when she had to carry around a dude in one scene. Carl Weathers portrays Grief Marga, the one who runs a group of bounty hunters. "He finds a bounty hunter named Mandalorian... he hires this guy, sends him out there, and Mando does what needs to be done". Weathers describes Carga, "The character is Greef Carga. 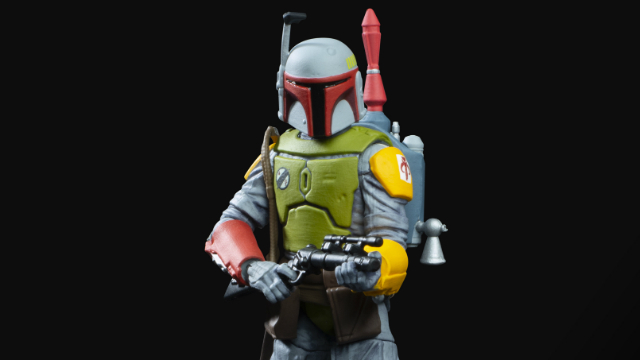 He's kind of the head of this guild of bounty hunters". The Mandalorian enters a room full of Stormtroopers who are guarding Werner Herzog's character - who is there to offer the Mandalorian an offer he can't refuse. He is played by a background extra running through the hall behind Lando Calrissian during the evacuation of Cloud City in The Empire Strikes Back, and although the actor is unknown and the character was nameless, he inspired endless jokes and speculation because the "futuristic" device he was carrying was actually an ice cream maker. However, there's no puck for this job; the only information the Mandalorian has is the mark's last-reported location and four digits of an eight-digit ID. The panel exclusively showed attendees a sizzle reel that opened with the Mandalorian walking on a bridge on an icy world, following a transponder to a shelter. We also saw footage of Carano pulling off some great stunts, and a line from Breaking Bad alum Giancarlo Esposito. "Who do you want me to audition for... a bug or a robot?' [Jon] was like, 'You're The Mandalorian.'" Pascal then threw himself on the panel table, reenacting the feeling of being overwhelmed in the moment. For people who have been fans for 40 years, we have a lot in there for you. The series will be eight episodes long and cost a reported $100 million to make.